On Sunday, September 12th, I will participating in my 1st Triathlon with my friend Rebecca (her 2nd triathlon). It would be an honor and make the race go that much smoother if we had a large cheering section for all of the parts of the race. If you can make it out next Sunday to cheer us on, the course map and some recommendations or parking or taking the metro is included above. If you would like me to forward the image and stuff to you for better viewing, drop me a line via email or comment (you will have to include your email) and I will get it to you. If you arrive by metro or car by 7:00am you should have enough time to get to the swim start area by the time I enter the water at 8:08am. 1. 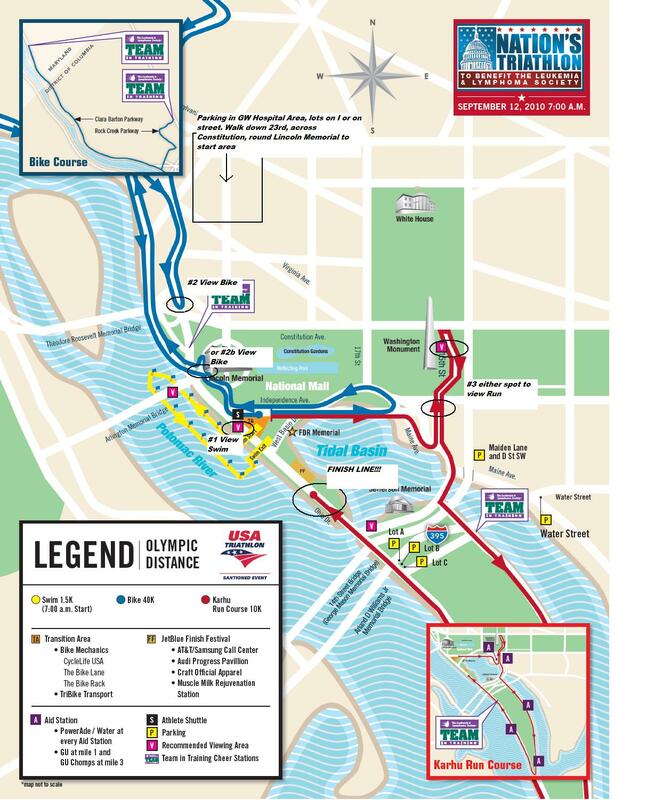 If you can take the metro, the closest to the start is at GW Hospital (walk down 23rd, across Constitution, around the Lincoln Memorial to the Start) OR the Arlington Cemetery Station (walk across the Arlington Memorial Bridge and hook a right to Ohio St to the Start). 3. Bring a small cooler for snacks/drinks although there are plenty of places to get something along the way. 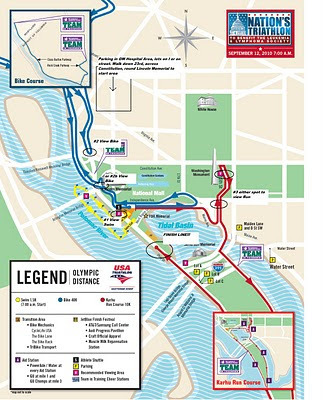 Becca (her swim start time is 8:48) and I hope to see you there. Thank you for all of your support! Your prayers & cheers are greatly appreciated.